Last Friday a fascinating story was posted at UM Portal, “Going virtual: Building community through online small groups.” The article addresses many different aspects of the church’s witness through the internet. These issues, it seems to me, need more critical and careful discussion. I commend this article to you for its potential to stimulate a deeper conversation among United Methodists about what faithful ministry online looks like. As I reread the article, I found myself a bit frustrated by how slippery of a term “small group” is. Unfortunately, the term is almost meaningless. When someone talks about a small group ministry the only thing that you can be relatively certain of is that it is a group that meets periodically that is relatively small. So, the agreed upon definition of a small group seems to be that it is a group that is small. Typically, the term “small groups” in a Christian context signifies two different types of groups: informational groups and transformational groups. Informational groups focus on knowledge and the key question is: What do I need to know? They are curriculum driven (what book are we going to study?) and are led by an instructor. As a result, they are largely passive. The posture of those involved in informational groups is typically listening and responding to specific questions. Bible Studies are an example of this category. Transformational groups focus on living faithfully and the key question is: How am I living? They are experience driven (how did you see God at work in your life over the past week?) and led by an exemplar (or spiritual director or mentor). As a result, they are more active than informational groups. The posture of those involved in transformational groups is typically thinking about life and the ways that we are being conformed to the image of God and the ways in which we are resisting God’s sanctifying grace. Accountability groups are an example of this category. Often, a particular group does not fit entirely into either of these categories. A group may be primarily informational, but strives to connect the information to the person’s life. (In fact, I think most informational groups would say they want this to happen. I’m just not sure how effectively they accomplish this goal.) On the other hand, transformational groups may primarily focus on the lives of the participants, but still work in an informational component (such as a period of discussion of a passage from the Bible). Small groups are in vogue in the 21st century United Methodist Church. But the desire of some churches to grow small group ministries has led to another category that is largely separated from the first two: affinity groups. For example, one church recently had a campaign for starting new small groups and one of the results was the organization of a “Red Hat Society” small group. To be sure, such a group meets the literal definition of a small group, it is a group and it is small. But does it represent part of the Christian ministry of the Church? I must admit, I don’t know much about Red Hat Societies. But, it is not immediately clear to me how such a group would help people learn or become more like Jesus Christ. Groups that are organized only in order to share similar interests seem to endorse a definition of small groups that is so broad it is meaningless, at least as a part of a conversation about the ministry of the Church of Jesus Christ. The UMC’s Call to Action report has argued that the number of small groups is one of four key drivers to vitality. (You can download the research findings here.) On the one hand, it makes sense to me that the number of small groups would be a likely predictor of congregational vitality. On the other hand, it seems like more needs to be said about what kind of small groups lead to vitality. Do all groups that are small in the church actually lead to vitality? It seems to me that there is a distinction between a vitality that is related to the presence of people and a vitality that is related to people who are present and becoming more and more like Christ! In my view, an appropriate understanding of congregational vitality must be given appropriately Christian weight in defining what congregational vitality looks like. Put differently, is there a difference between a vital social organization and a vital Christian congregation? A congregation could very well be a vital social organization and not a vital congregation. It matters who is the focus of worship and how people are being formed. So what is a small group? Perhaps a more helpful question is, what should be the definition of a small group? What do you think? Thanks for this Kevin. Your critique is spot on. You name my concern about the CTA emphasis on small groups as an indicator of congregational vitality. No criteria for what constitutes a “small group” is provided. My experience tells me that too often small groups are driven by curriculum intended to help participants learn about Scripture, theology, or discipleship. But there is seldom any expectation that they actually practice discipleship in the world. Discipleship is something that is reserved for Sunday morning, and maybe Wednesday night. 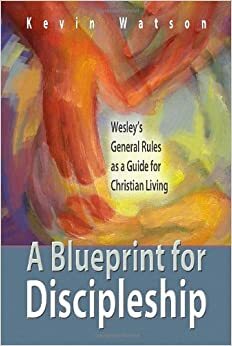 I am troubled that there is no mention in CTA of the need to adopt the General Rules, once again, as the United Methodist rule of life. I contend that all small groups in the church should shape their life around helping members to incorporate the content of the General Rules, or the General Rule of Discipleship, into their daily lives. If a congregation truly embraces the mission “to make disciples of Jesus Christ for the transformation of the world,” then every group must include accountability and support for discipleship their mission. Otherwise, the group has no place in the church. Solid piece, Kevin. Thanks for this! Alan Roxburgh in his book, Missional Mapmaking, has documented convincingly (to me, at least) that small groups qua small groups, as they typically appear in most congregations in response to the “small group movement” that started hitting American Protestantism in the 1970s and 1980s, have little to do with transformation or discipleship at all. They generally fall into the “affinity” or “fellowship” category (even where they call themselves study or service groups), and as such tend only to help reinforce the underlying “official religion” of our culture– consumerism (credit to Alan Hirsch for naming it that succinctly). 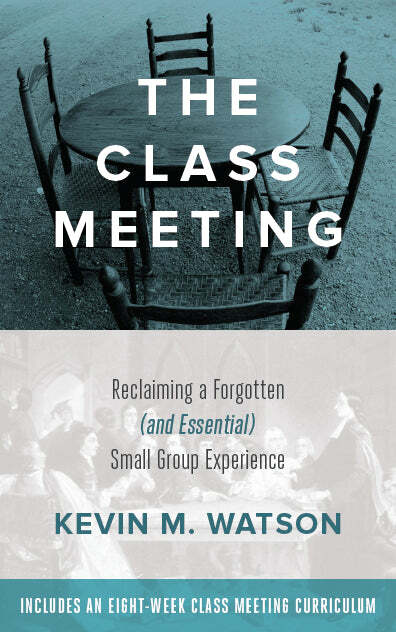 Note that the three kinds of small groups accounted for in the Congregational Vitality Report (see Slides 29, 30, 52) are “groups for study, fellowship or service.” Based on Roxburgh’s analysis, none of those necessarily equates with a discipling group. Fellowship is likely not do (more of an affinity group). Study groups often do not– but are, as you (and Roxburgh cite) more passive in nature. In other words, whatever impact happens happens in the activity of studying itself, with little spillover elsewhere. Service groups, of the three, may have the most to do with discipleship, but since they’re not defined beyond that, we can’t say. It appears Towers Watson did not make an effort to discriminate between the effects of these three different types of groups in their findings, but rather counted them together as a total number of “small groups.” By their definitions, it may be possible that some of the programming for youth and children (the other two “drivers” in this section) may also have qualified as a small group. I think it’s always important to look at Slide 52 of the Congregational Vitality Presentation in CtA’s final report, as well. This is where Towers Watson graphs in what ways each of the “drivers” enhances vitality. This slide shows enhancements in vitality in all three categories– attendance, growth, and engagement– correlated to the number of small groups. What you see here is that a higher number of small groups is correlated to greater vitality in all three areas. That level of achievement is matched only by the effectiveness of lay leadership and the length of pastoral appointments. Keep in mind what these vitality factors refer to, though. They are measurements, primarily, of # and changes in attendance, membership and financial giving. (See Slide 19 for the definitions). These are not necessarily indicators of increases of holiness in heart and life– which are the sort of changes one would expect from a transformational or discipling group. So, what does all of this tell us? Clearly, it reminds us that the number of small groups does correlate with things like attendance, financial giving, and professing membership, especially as congregations get larger. (See Slide 30– the effect is pronounced for churches over 350, about 6% of UM congregations, and about 41% of the High Vital database, Slide 24). What it doesn’t tell us, though, is whether the people in these groups or congregations are actually engaging in a recognizably Wesleyan Methodist process of watching over one another in love so they may grow in holiness of heart and life– or as we might now say it, becoming disciples of Jesus Christ for the transformation of the world. For that, I think we need another kind of study. I have nothing of substance to add to what you (Kevin) and Steve and Taylor have pointed out so well. Steve and Taylor – Thanks for your kind words and additional thoughts. John – Thanks for chiming in! Transformational groups focus on living faithfully and the key question is: How am I living? They are experience driven (how did you see God at work in your life over the past week?) and led by an exemplar (or spiritual director or mentor). question for you Kevin, what about mutual spirutal direction (i.e. not ‘leader’ led) ?? ?